Metallic gold cassette with white ink and hand-numbered, double sided 8-panel sleeve in a crystal clear case. Comes with a download code. 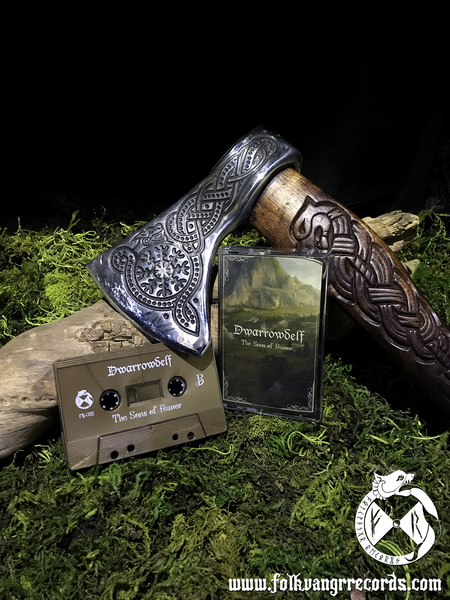 Limited to 50 copies through the label and 50 copies available through Wolfspell Records. 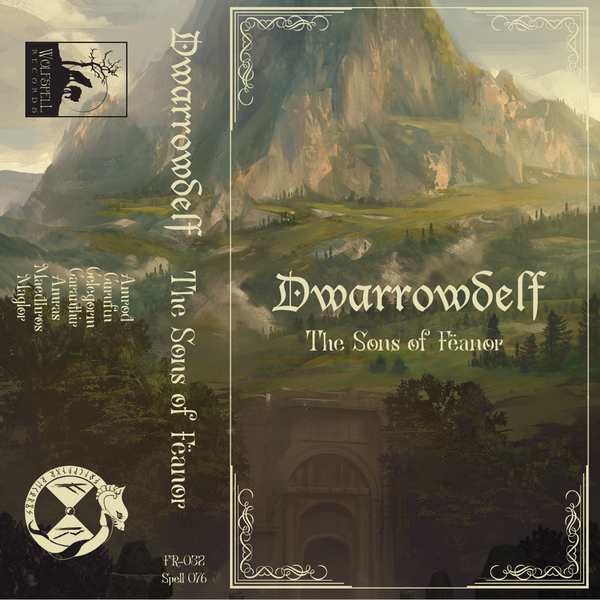 "The Sons of Fëanor" is the first full-length album from epic/atmospheric black metal band Dwarrowdelf. Journey into the deep history of Middle-Earth, as the seven sons of a mad elven king struggle to uphold their oath to recover his prized jewels. For a digital copy of this album, please visit dwarrowdelfuk.bandcamp.com. Additional design by Adam Fry and Tomasz Sz.